These thin and crispy Amish Friendship Bread Mexican Buñuelos make a sweet afternoon snack. This fun recipe was shared with us by Kitchen Friend Joleen Waltman. Drizzle with honey butter, and enjoy! This recipe makes thin and crispy Amish Friendship Bread Mexican Buñuelos, a perfect afternoon snack. Drizzle with honey butter, and enjoy! 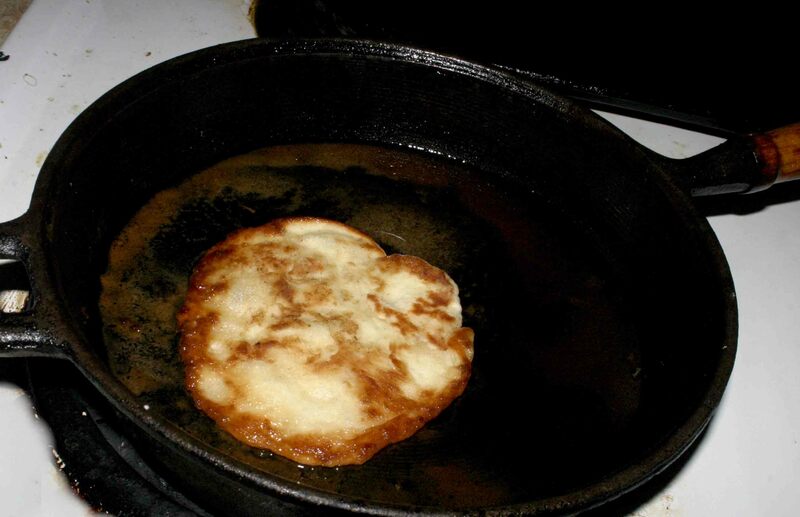 Pour ½ inch of oil in skillet. In a bowl, mix together dry ingredients, flour, sugar, baking powder, and salt. Cut in shortening with a pastry blender or a fork. Add starter into bowl and mix together until a ball is formed. Add in sugar, rapadura or honey. For the topping, mix together cinnamon and powdered sugar or honey and melted butter. Divide a golf-ball sized piece of dough and roll out on a floured surface with a rolling pin as thin as you can or about 1/16 inch thick. When oil is hot, add in flatten dough. Fry for about 20-45 seconds or until a light golden-brown. Flip over carefully and cook another 20 to 45 seconds. Remove from oil and place on a serving plate. Combine ingredients for the honey butter topping. 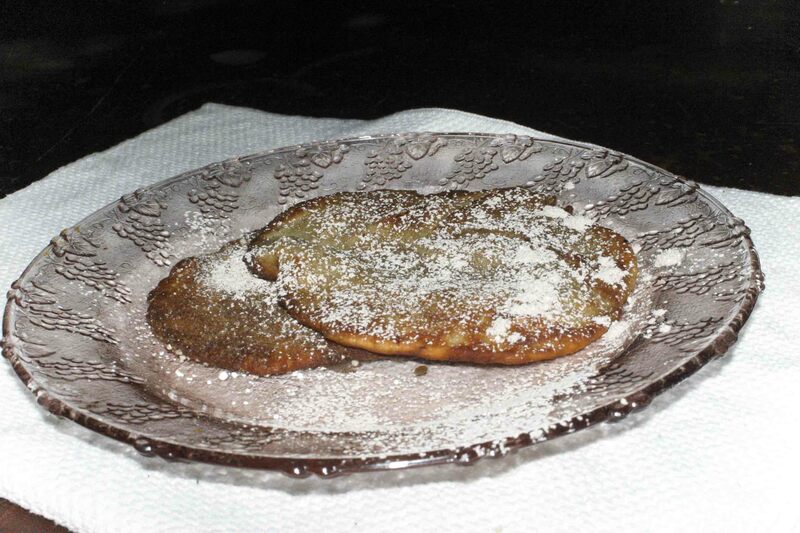 Sprinkle Buñuelos with cinnamon sugar mixture or drizzle with honey butter. Hi, I’m Marissa. In this recipe for Amish Mexican Bunuelos, it calls for 1 1/2 cups starter, does that mean do the 10 days first then get the 1 1/2 from there? Or before the 10 days measure the starter. Is this the same for any of your recipes? Sorry, I do not have Face Book. I greatly appreciate any advice on this matter.